The US FDA has lifted an import alert on genetically engineered (GE) salmon, following an appeal by biotechnology company, AquaBounty Technologies. An alert was first issued in 2016 that prevented GE salmon from entering the US. However, FDA Commissioner Scott Gottlieb has said that following a “comprehensive analysis of scientific evidence”, GE salmon met the statutory requirements for safety and effectiveness under the Federal Food, Drug, and Cosmetic Act. 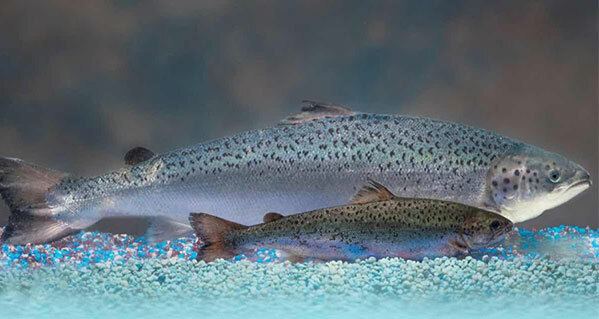 The new ruling means that AquaBounty Technologies can begin farming its GE AquAdvantage salmon in the country, as AquAdvantage salmon eggs can be imported to AquaBounty Technologies’ facility in Indiana to be raised into salmon for food. Environmental and consumer groups have denounced the ruling, raising concerns about the ecological threats to wild salmon. George Kimbrell, legal director at the Center for Food Safety, said: “USDA’s new guidelines don’t require adequate mandatory labelling, don’t require calling the fish ‘genetically engineered’, and don’t help consumers know what kind of fish they are buying. The FDA said it analysed the potential environmental impact that an approval of the AquAdvantage salmon application would have on the US environment. AquaBounty, a majority-owned subsidiary of biotechnology company Intrexon, said the decision will reduce the US dependence on seafood imports. Sylvia Wulf, AquaBounty CEO, said: “As FDA notes in this announcement, our salmon was approved by the agency over three years ago based upon a very comprehensive science-based review process, which established that our salmon was safe, nutritious, and environmentally sound and met all other regulatory requirements. The genetic makeup of the company’s GE salmon takes a growth hormone regulatory gene from the Pacific Chinook salmon with a promoter gene from an ocean pout and puts it into the genome of an Atlantic salmon. AquaBounty said the modified fish is able to grow to market size using 25% less feed than the traditional salmon. Can Franken-salmon triumph over uninformed ad-hoc opinions?